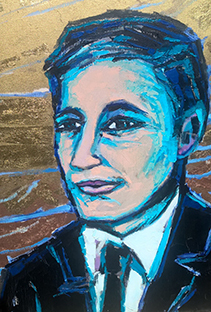 The origins of SASNEV, lie in the last will and testament of the mining magnate Ebel Hero Ebels (1897 – 1976). The origins of SASNEV, the South African Centre for the Netherlands and Flanders, lie in the last will and testament of the mining magnate Ebel Hero Ebels (1897 – 1976), a Dutchman who, for almost 60 years, lived and worked and eventually died in South Africa. The seedling from which SASNEV would grow was the Willem de Zwijger Foundation (WdZ), which had come into being on the death of Ebels in Johannesburg in November 1976 – as he had determined in his will and to which end he had bequeathed almost his entire estate. The focus of SASNEV’s operations are thus determined by the convictions and beliefs held by this Dutchman, who, along with his student friends, early in the 20th century supported the ideals of what was called the Groot Nederlandse Gedagte (the Great Dutch Idea). This concept developed in the years soon after World War I, and gave expression to the ideal of uniting all speakers of Dutch under one symbolic banner, regardless of political and geographical borders. Later referred to as the “Algemeen-Nederlandse saak” (the broader Dutch cause) it initially referred more specifically to the Netherlands and Flanders. In those early idealistic days, however, there also existed a feeling of fraternity with South Africa, which explains the connection which exists to this day. Today the Huis der Nederlanden (literally, House of the Netherlands) – now the SASNEV building – is the robust pivot point of the expression and dissemination of Dutch culture in South Africa in the broadest sense of the word. The inclusion of the Nederlandse Boekerij (Dutch book collection) – which was originally part of the Algemeen-Nederlands Verbond (ANV, the General Netherlands Association) – can be viewed as a happy coincidence with regard to Ebel Hero Ebels: it only recently came to light, from his correspondence with a friend, that Ebels had hoped to settle, on his retirement (in Europe), near a large library. Ebels (along with student friends from his days in Delft, whom he named in his will as members of the first management body of the WdZ) had been an active member of the ANV, within which the originally inter-related strands of the Netherlands, Flanders and South Africa had come together again. Ebels never lost faith in the ideals of his student days. That much is clear from the contents of his will – the establishment and funding of the WdZ in order to promote the Groot Nederlandse Gedagte – and from discussions and correspondence with friends over the years, including until shortly before his death. Ebels’ connection with the ANV can also been seen as a matter of fortunate providence, since today the heart of the operations of SASNEV (which stems from the WdZ) and that of the Dutch book collection (with its origins in the ANV) beat together under the same roof in Pinelands, Cape Town. In the early years of the WdZ’s existence, South Africa had barely featured in its operations due to apartheid – even then the WdZ management desired to focus only on progressive initiatives. It was only with the demise of the apartheid policy in the 1990’s that South Africa came into play – and that the WdZ became fully operational in South Africa. It was also in the 1990’s that the ANV Boekerij experienced financial difficulties that threatened its existence. For various reasons, and in a consultative process, the WdZ at that time decided to buy a building in Pinelands to house its operations. Their choice fell upon a building in Pinelands, formerly a church hall. This building would from then on also accommodate the library, thus ensuring its future. It would also centralize the joint influence of these two entities, radiating into the community from what was then known as the Huis der Nederlanden (now SASNEV). 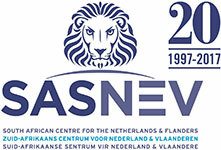 It was this partnership in 1997 between the Huis der Nederlanden (now SASNEV), the WdZ and the ANV Cape Town branch that would also considerably strengthen the cultural ties between the Netherlands, Flanders and South Africa. 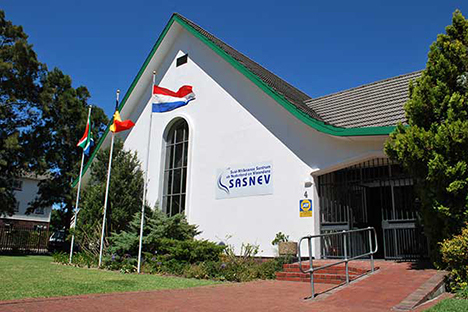 Today SASNEV is the only independent private space in South Africa that prioritizes the promotion of the Dutch language and culture on a permanent basis. It is the only concrete and accessible gathering place for lovers of the Dutch language and culture, one that also promotes the common interests of and cooperation between speakers of Dutch and Afrikaans. It offers a neutral space for the representatives of 24 million or more speakers of Dutch in Europe and 6 million speakers of Afrikaans in South Africa – with their closely related languages and cultures – to meet and get to know each other. The support provided by the WdZ over the past 18 years has led to a significant increase in the “Dutch” influence within and outside of Pinelands; it is a community-driven focus with its own identity, respected status and power to negotiate. Due to the security of its physical space, it annually welcomes 25.000 visitors from all public spheres. As such, it is an indispensable focal point in Dutch and Afrikaans cultural life. The origins of Ebel Hero Ebels (1897- 1976) lie in a well-off, Oldambster farming family in the province of Groningen in the Netherlands. Apart from their rewarding agricultural activities, the family had also, at times, played a role in the political life of the community. Oldambt was an area that consisted primarily of reclaimed – and richly fertile – land. Ebels’ personal background, however, is described by De Langen as “vrij triest” – very sorrowful – due to the many instances of illness and death in his immediate family, and in the previous generation. When, for example, his parents for a time lived first in Switzerland, and then Egypt, because two of his siblings had TB, the young Ebels remained in the Netherlands and lived with strangers to complete his education. In 1915 he went to Delft as a student in chemistry. There he joined, as an active member, the student branch of the Algemeen Nederlandse Verbond (ANV – General Netherlands Association). The Zeitgeist has been described like this: Flanders was Gallicised, South Africa not yet independent. Memories of the Anglo-Boer War were still fresh and ties with the former Boer republics remained strong. With a number of Afrikaners studying in the Netherlands, these ties became even stronger. At a ground-breaking student conference in 1921, the focus was on what is called the Groot Nederlandse Gedachte (Great Netherlands Idea), which aimed to unite all Dutch speakers under one symbolic banner. Students in Delft were so radicalised by the conference that they left the moderate ANV (in De Langen’s words) to establish the Dietsche Studentenverbond (Dutch Student Alliance). Ebels, described by De Langen as a man of few words but who could be depended upon to act, was once again an active member. History would show that this had been a decisive time in the life of Ebels, one which would eventually determine the contents of his last will and testament. In the meantime, Ebels changed the focus of his studies and instead of chemistry, completed a degree in business economics in record time. Shortly after, he left for South Africa. Nobody has ever been certain exactly what influenced this decision, and there is no documented evidence in his own words or from his own pen to cast light on his reasons. De Langen writes that despite the close ties Ebels maintained as a student with others, he created the impression of a lonely figure. He was not close to his father, his mother had by then already died and his youngest sister (and only surviving sibling), Anna Geertruida, was 13 years younger. De Langen believes Ebels had in fact deserted the social group into which he was born, and wonders whether Ebels left for South Africa to establish his own career as far away as possible, and independent from, his father. Or, was it because of the Boere, with whom there might have been an ethnic affiliation after his student years in Delft and during which he had heard so much about them? But later, according to De Langen, Ebels would develop doubts about the Boere, it would seem. De Langen also writes that according to Ebels’ sister, Anna Geertruida, Ebels left for health reasons. Details on his movements in South Africa are scarce. But according to an account of his sister (to De Langen), at first he lived with and worked for an uncle, called Oosterhuis, a farmer in the former Eastern Transvaal. Later he gained experience on a farm in the Western Transvaal, belonging to a Mr Veldman, who also hailed from Groningen. Ebels, who inherited from his mother, thereafter bought a farm in the district of Davel in the Eastern Transvaal. He had thousands of sheep and planted mealies. But when the wool price dropped and locust plagues hit, he sold the farm. His sister also believed Ebels had found that the uneventful farm life did not suit his lively nature. Ebels then became a prospector, establishing himself in Johannesburg, with concessions in the mining industry. For a while he concurrently also had an import-export business. About her brother, his sister wrote to De Langen: In South Africa he could make his own life. He developed into a businessman of great style. He was interested in ethnology and knew a great deal about local tribes in South Africa. He had friends in the local Dutch circles and was a brilliant conversationalist, honest, dependable, with vision and clear insight. He was highly regarded in the business world and offered ready support to young immigrants. Documented evidence of contact between Ebels and family and friends in the Netherlands shows that this was sporadic, although his sister on occasion visited him in South Africa in his later years. Occasionally he also stayed with the De Langens in the Netherlands during trips abroad, when he would also visit other countries in Europe. During one of these visits, in 1970, Ebels told De Langen that he intended to return to Europe and would then preferably live in Flanders – somewhere that would provide him access to a large library. On the same occasion, Ebels also mentioned that, on his death, he would like the proceeds of his estate to be used to promote the Groot Nederlandse Gedachte. With his death it became known, of course, that he had already in 1964 established the Willem de Zwijger Foundation (which would become operational only with his death, funded by his estate). In 1971 he had also written a long letter to De Langen and Cohen Stuart, providing “various interesting descriptions of landscapes in South Africa” – but also details of what would happen to his estate after his death. Ebels wrote that the Groot Nederlandse Gedachte had always been important to him and the fact that De Langen and Stuart Cohen shared his concern meant that they had always had much in common. He continued by saying that in the time that remained for him (while he was alive) he planned to make arrangements to promote the Groot Nederlandse Gedachte, perhaps by earmarking his estate to be used to that end. Later that year Ebels did indeed travel to Europe, but not to live, and he also did not go to see his friend De Langen. In August 1971 he wrote to De Langen, offering his excuses for not visiting. At the same time – despite his expressed desire to move to Europe – he wrote he was again busy, with exploration work in asbestos mining. In the years thereafter De Langen did not hear from Ebels, except for news via Annie Ebels, who occasionally went to visit her brother in South Africa. The last letter Ebels wrote to De Langen, from the foot of Table Mountain in Cape Town, was dated 7 January 1976 while his sister was visiting. He again wrote of tying up his business affairs in that year in order to return to Europe – and again mentioned his desire to go and live “near a library”. But before the year was over he died in Johannesburg. Ebel Hero Ebels was a loner, who never married or had children. With his death, this strand of the Ebels family would die out. But he left the legacy of the Willem de Zwijger Foundation – and his name lives on.